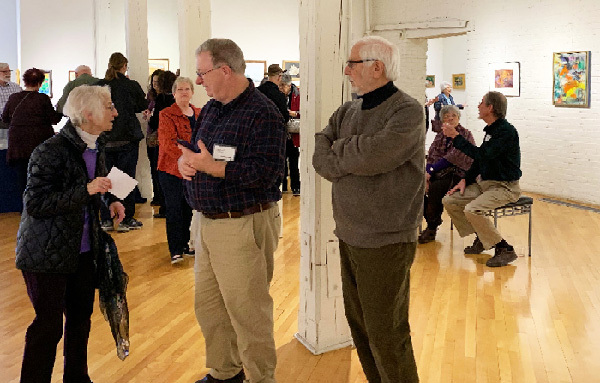 Since 1979 the Frederick County Art Association has been committed to encouraging artistic growth and exposure within its membership and to promoting community interest and participation in the visual arts. The FCAA led a grassroots campaign to bring a first-class visual arts center to Frederick. The Delaplaine Visual Arts Education Center opened in 1986 with the help of early members of the FCAA. 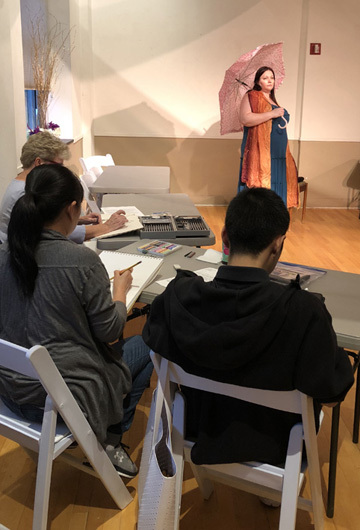 Today FCAA members enjoy guest speakers and opportunities for group exhibitions, social events, and the opportunity to show their art in our online gallery. The group continues to give back to the community. To join us, download an application. Dues are $30 from Jan. 1 through Dec. 31 and $15 from July 1 through Dec. 31. January: The winter members show at the Delaplaine. February 11:Snow day. Delaplaine closed. March 11: A costumed model posed for us. Welcome to the four new members who joined at that meeting! April 8: Show and Tell. Do you have a new piece you'd like to show off? Looking for a critique? This is our chance to learn from each other. May 13: Talks by gallery reps: District Arts, Frederick Book Arts, and Washington County Arts Council. Members show at FMH Crestwood Art Gallery from May 6 to September 6. June or July: Annual picnic. September 9: Plein-aire painting and outdoor photography session. Still-life painting and photography in the studio in case of rain. Free and open to nonmembers. November: Elections. Christopher Madden will speak about portrait painting and edtching. Free for members, $10 for nonmembers. Can join the night of the event for free admission. December 9: Annual Holiday Party and Silent Auction. The public is invited to all FCAA events. We meet at 6:30 p.m. on the second Monday of the month at The Delaplaine Visual Arts Education Center in Frederick, Maryland. Check out our Facebook page for timely activities of interest to our members. February 12: A costumed model posed for us. March 12: Doug Moulden gave a talk about his past and current textured paintings. Free for members, $5 for nonmembers. Can join the night of the event for free admission. April 9: Lea Craigie-Marshall demonstrated resin painting. May 14: Talks by downtown Frederick gallery reps.
June 30: Annual picnic hosted by Jen and Don Ludke. September 10: Clothed model in second floor art studio. Free for members, $10 for nonmembers. October 8: YArt Sale/Show and Tell. November 12: Discussion of Hood College Show and elections for FCAA officers. December 6 to January 7: Group show in the Whitaker Gallery at Hood College. December 10: Annual Holiday Party and Silent Auction. Our winter members show was held in January at the Delaplaine. Two TED Talk videos featuring artists discussing their work were presented at the February meeting, complete with drinks, popcorn, and candy. Our first pop-up store hosted art, music, and poetry at Le Parc bistro in March. 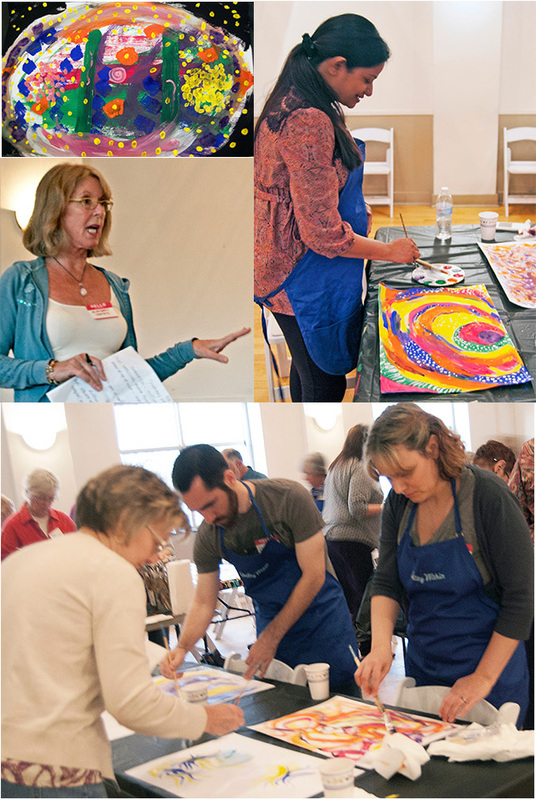 On April 10, Elisabeth Vismans led a complimentary hands-on intuitive painting class. The summer members show at Frederick Community College ran from June 10 - July 10. There was a YArt Sale at the members meeting on June 12. Items were sold or offered for a free-will donation to the FCAA. There was also time for a "show and tell," with members bringing in art to share. The annual picnic was held July 15 at the home of Kitty and Bob Nalewaik. The company and food was great, and the weather even cooperated this year. The September meeting featured representatives from Gallery 322, NOMA Gallery, 505 North, and Bravura Art & Framing. The election of several new officers was held in November. Thanks to Ratha, Priya, and Lea for filling these important positions! The annual holiday party was held in December. The silent auction brought in $286 this year. 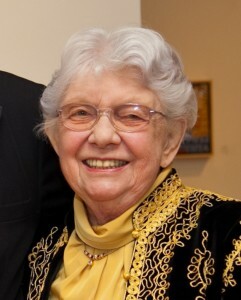 The Frederick County Art Association has donated $1,000 to The Elizabeth Barker Delaplaine Award for Young Artists. Beginning in 1982, our annual Student Art Awards recognized and encouraged talented Frederick County high school seniors who planned to continue their art studies. As an organization we support The Delaplaine Visual Arts Education Center and are represented on its Board through the Alliance, a group of art organizations whose representatives meet regularly to be updated and to discuss the activities and concerns of the Delaplaine.